This my friends, is my first tutorial! I've been wanting to share this one with you for a while, but had to wait until my best friend's birthday, as this project was part of her 18th birthday present. 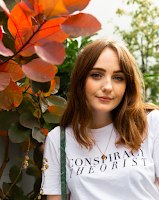 She's a proper little monster and one day we will go see Lady Gaga together but you can't go see Lady Gaga without wearing some gaga fashion yourself, right? 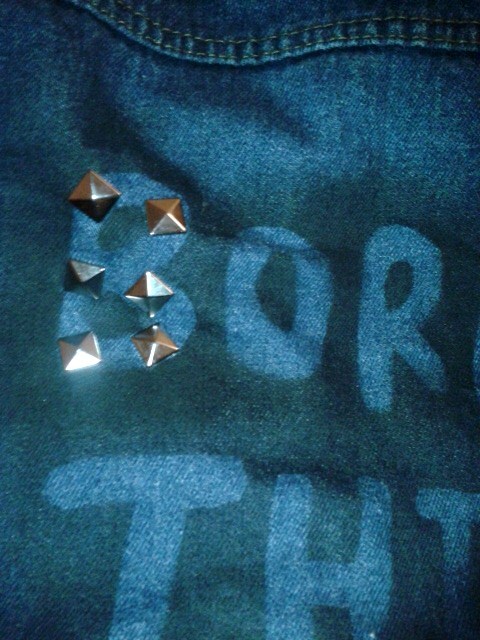 You will need: card, scissors, pencil, pins, a jacket (I chose denim), black spray paint and studs. 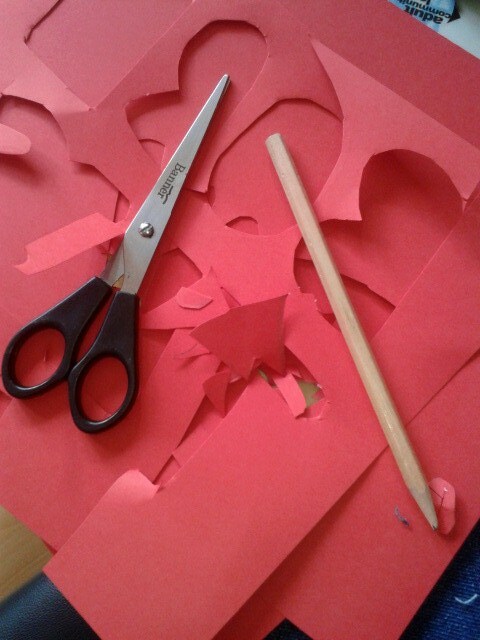 First you need to make your stencils. 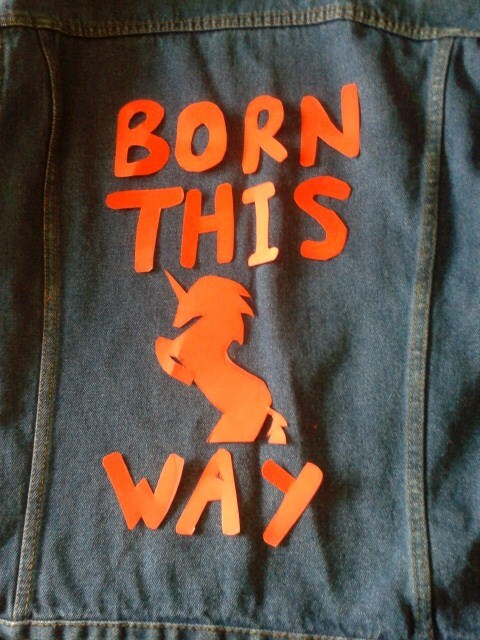 Note this isn't your regular stencil where you cut out the shape and spray in the cut-out of the card, here, we need to spray around out stencils, just like on Lady Gaga's jacket on the Born This Way Album cover. I drew my letter and unicorn stencils free-hand on card, then cut them out carefully. 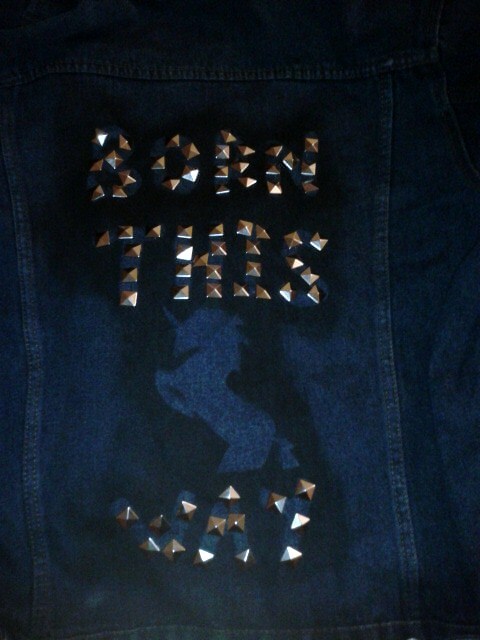 I then laid out my stencils on the jacket to check everything was in it's place. Once happy, I pinned each stencil down using quite a few pins per stencil, you don't want any pesky spray paint ruining the lettering! I used regular all-purpose black spray paint, you could use fabric spray paint instead. After letting the paint dry and removing the now-ruined pins, I painstakingly added studs to each letter, but not the unicorn, the unicorn stays un-bejazzled. What a fantastic idea! Very creative :) I bet your friend loved it! wooow this is really awesome!!! I envy your DIY skills - I cannot do anything DIY to save my life. cute!! I loveeeee the unicorn. Wow very good idea! You are an artist!